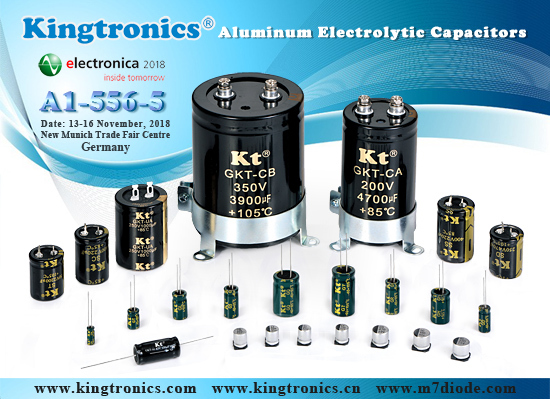 Did your suppliers of aluminum electrolytic capacitors inform that price and L/T will increase much more in near future? Kingtronics can offer you stable price and shorter L/T than those top suppliers as below. Our lead time is only about 5-9 weeks. We can also discuss more at Electronica 2018 in Munich. Do you have plan for it? Panasonic 14-18 Decreasing Some SMD dropping from 18 to 16 weeks. Some price increases.